"Based on one of the most talked about books in years and a #1 New York Times best-selling phenomenon, “The Help” stars Emma Stone (“Easy A”) as Skeeter, Academy Award®–nominated Viola Davis (“Doubt”) as Aibileen and Octavia Spencer as Minny—three very different, extraordinary women in Mississippi during the 1960s, who build an unlikely friendship around a secret writing project that breaks societal rules and puts them all at risk. From their improbable alliance a remarkable sisterhood emerges, instilling all of them with the courage to transcend the lines that define them, and the realization that sometimes those lines are made to be crossed —even if it means bringing everyone in town face-to-face with the changing times. Deeply moving, filled with poignancy, humor and hope, “The Help” is a timeless and universal story about the ability to create change." I loved the book! However, I am slightly skeptical about the movie. From the previews I've seen, I wonder if the movie will do the book justice. In my experience, movies are never as good as the book. Perhaps this movie will be different. For more information about the movie, visit www.thehelpmovie.com. Regardless of whether you choose to see the movie, I recommend reading the book. 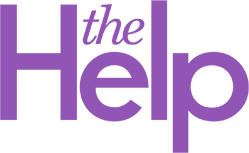 You can read my review of The Help here. It is now available in paperback at www.thequalitycorner.com. Click here to purchase. Even though the Oprah Winfrey Show had its season finale almost two months ago, Oprah's influence is as strong as ever. With O Magazine and OWN, Oprah is still able to touch the lives of many. I was very sad to see the show go, but I have enjoyed watching the shows on OWN and reading the magazine. I have a great deal of respect for Oprah and that is why I chose to build a portion of my business around her. I appreciate the contributions she has made toward literacy and I support that. I recently heard a staggering statistic - 1 in 5 adults worldwide cannot read. That is horrible! If we can improve literacy, lives will improve drastically. All of these titles are available at The Quality Corner. Click the link above to read a synopsis of the book and purchase it. Visit www.TheQualityCorner.com every month for new titles from O Magazine's Reading Room. I usually choose to read only fiction in the summer. I like to kick back, relax and get caught up in the stories. It's like a mental vacation. However, I've added a nonfiction title to my list this year. Get Rich Click has been on The New York Times Best Sellers list for several weeks and it's been a best seller in my bookstore. Because I kept selling so many copies of this book, my interest was piqued. It is about making money on the internet. "Click," indeed! It's right up my alley and I'm excited to read it. Room has also been on the Best Sellers list and a friend recommended it to me. According to the publisher's synopsis, this story is told entirely in the language of a 5-year-old by the name of Jack. This novel celebrates the bond between parent and child. It has received rave reviews. It sounds like a perfect summer escape. Finally, I have been intending to read Freedom ever since Oprah chose it for her book club. It is a comedic novel about family. I plan to spend time with my family this summer, so it should be a great book to share with family and friends. Of course, I will be reading countless books that I have been requested to review. I recently finished The Dirty Side of Midnight by Davida Adedjouma. You can read the review on my blog. I am currently reading The First Americans Were Africans by David Imhotep. I will share my review of that book in a few weeks. Book Review - "The Dirty Side of Midnight"
Davida Adedjouma is a licensed social worker who specializes in guiding women through past traumas by using writing. She is a published author and produced playwright. Her writings include “Palm of My Heart” and “The Barbie Chronicles.” Her recent release, “The Dirty Side of Midnight,” is a collection of captivating short stories. In “The Dirty Side of Midnight,” Adedjouma has created 36 different stories. The stories are related and tied together through the lives of various characters. The book focuses on the lives of women that have survived unspeakable tragedy. The stories of these women are familiar to many readers. Adedjouma tackles a variety of social issues such as poverty, addiction, racism and domestic violence. One of the main characters is a woman by the name of Delta. She is first introduced in the story, “Delta Is.” Delta Cotton was born in the South and migrated to New York. We learn of her struggles and her victories. Throughout the book, we are introduced to Delta’s children, grandchildren and great-grandchildren. The failures and triumphs carry throughout each generation. Adedjouma is very skillful in the way she portrays each character. As I read through the stories, I could feel the author’s passion for the issues she wrote about. I got the feeling that she is speaking from experience. Even though this book is a work of fiction, I could hear and feel the very real stories of real people. A good writer puts the reader in the story and makes them feel something. The feelings are not always good because that’s life. That’s real life. Life is glutted with tragedy. Adedjouma addresses tragedies of our nation such as 9/11 and hurricane Katrina. One of my favorite stories is entitled “A Paradox of Faith.” This story paints the picture of a woman that survives the atrocities of hurricane Katrina. Miss Maggie is such a strong woman of conviction. After the death of her husband, she is faced with being estranged from her daughter. Her story is of courage and determination.